Some spreader downtime is unavoidable, but we understand like no other that it needs to be kept to an absolute minimum. This is why our service and training strategy is built around giving you the freedom to structure work on your spreaders in the way you prefer. For dedicated service, we can send our specialists to your site to troubleshoot your equipment. If you prefer to let your own staff do the work, we can provide a thorough analysis and report of what needs to happen. 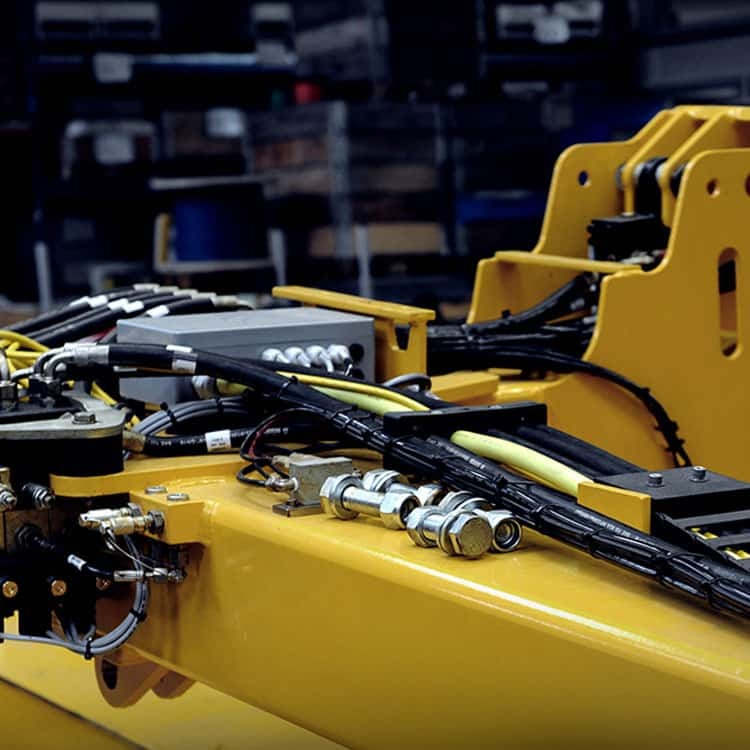 We are very eager to partner up with you for projects in which we focus on spreader performance, causes of downtime and minimum moves between failure. These projects provide an excellent opportunity for us to gain deep insights that translate directly into targeted advice for higher uptime and increased reliability for you. We also provide training either on site or in one of our facilities. Whether you have a staff of experienced people who know spreaders like the back of their hand, or newer people who still need to learn the ropes, they can benefit from a variety of classes and courses, either to refresh faded knowledge or to learn to work with cutting-edge features. Each spreader comes with documentation that details routine and preventative maintenance. We include interactive models that allow you to quickly select and order the correct spare parts. Since we have spare part depots in various strategic locations, and our after-sales staff has real-time access to our supply, you don’t need to worry about stocking too many parts yourself. Just reach out and tell us the unique spreader ID. Like we said before, the end of a warranty period is not the end of our service. No matter how old your spreader is, we are always happy to support you. And if we can, we will help you give your spreader a new lease on life. That is what we mean when we say lifetime support. Some spreader downtime is unavoidable, but we understand like no other that it needs to be kept to an absolute minimum. This is why our service strategy is built around giving you the freedom to structure work on your spreaders in the way you prefer.